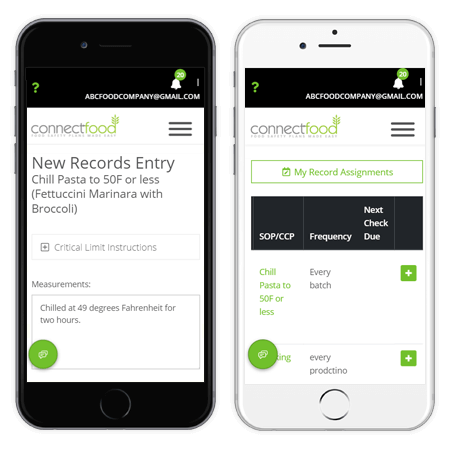 Log and Record Your Daily Food Safety Activities With Ease! Easily Design Your Food Safety Story With The Process Flow Designer. 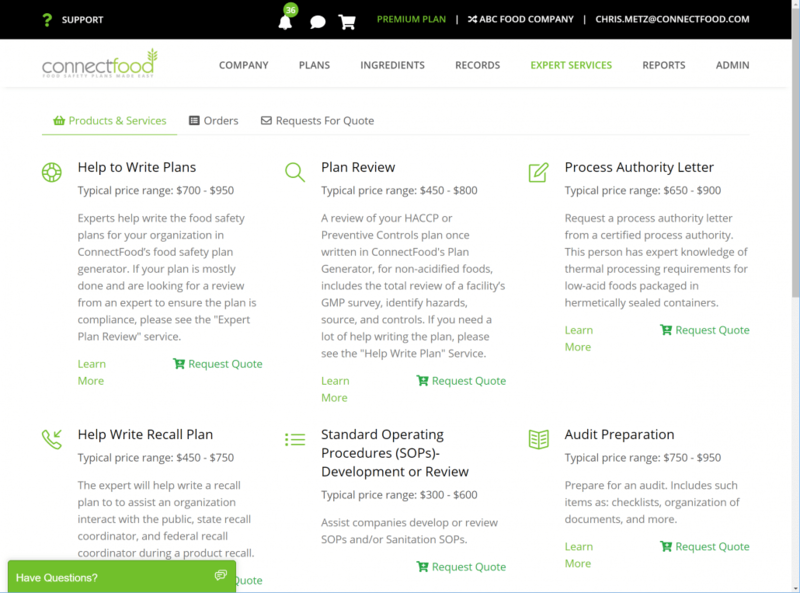 Easily drag and drop your food processing steps into place. Drill down to your biological, chemical, and physical hazards from your process flow. Visual indicators are given for hazards that need critical control points. Correlate which ingredients are added at different process steps. This online checklist is comprehensive set of over 150 questions to assist companies ensure they have Current Good Manufacturing Practices according to the Cod of Federal Regulations 117 Subpart B. This includes sections: Personnel, Plants and Grounds, Sanitary Operations, Sanitary Facilities and Controls, Equipment and Utensils, Process and Controls, Holding and Distribution, and Defect Action Levels. Obtain a gap analysis report to help assess the number of compliant and non-compliant answers. Visual check marks or compliance warning responses using visual icons. Walk through your facility and answer the checklist from your phone. 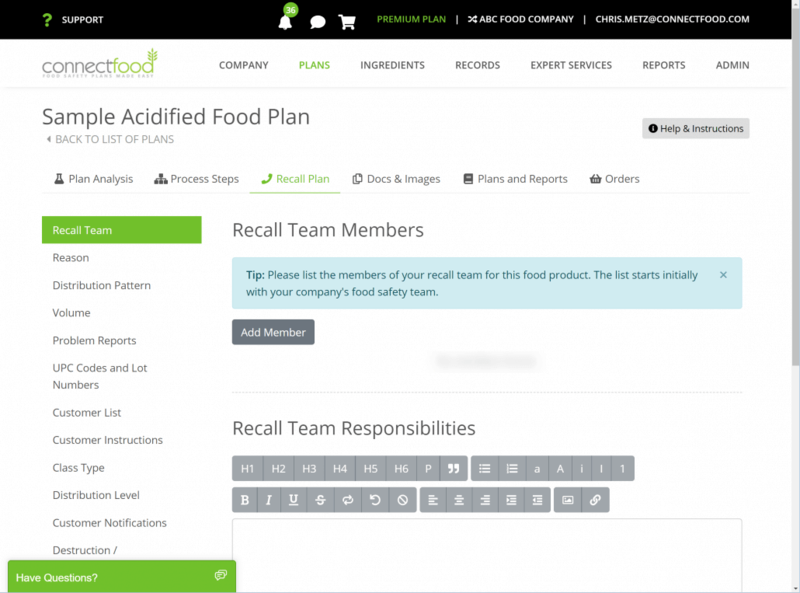 The Preventive Controls for Human Food regulation requires the development of a written Recall Plan when a hazard analysis identifies a hazard requiring a preventive control. Recalls are actions taken by an establishment to remove an adulterated, misbranded or violative product from the market. The FDA or State could take legal action against a company depending on the cause of the recall. Those developing HACCP plans are not required to develop recall plans, but it is highly recommended to help protect your business from unnecessary financial loss and also protect consumers. Leverage existing company and product information to to quickly generate your plans. Make copies of your recall plans to run mock recalls. Use status tracking forms such as customer complaint, customer notifications, and problem reports. 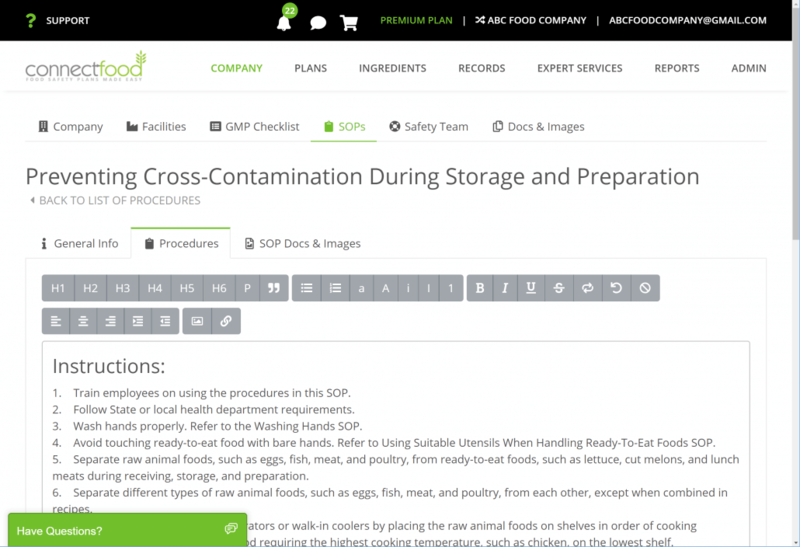 Quickly Access On-Demand Food Safety Expertise to assist with the development of your food safety documentation at a fraction of the cost of traditional consulting. Get Started With The Food Safety Features and More Today! Sign up for a 15-Day Trial of the software and request a demonstration.